I’ll admit that I’ve been having trouble making myself sit down and write every day recently. I’ve got a really cool book that I’m working on, but the actual writing just wasn’t happening. I usually do well when I’m writing with NaNoWriMo, though, because there’s accountability. So I decided to look around for a piece of software or app that would keep me motivated. That’s when I found Writeometer. 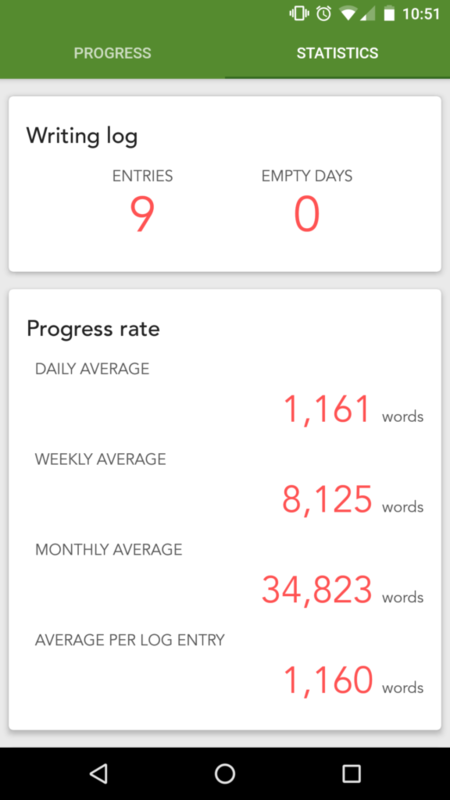 It’s a simple app that allows you to set goals (my current goal is to get through the second act of my current project) and tracks word counts and even has a treat system so that you can give yourself a little something when you reach a certain number or “guavas.” For the first time in months, I’ve written non-stop now for eight days and I’m still going strong. So for those of you who are writers and have the motivation problem, this could be a good solution for you, too. Another thing I’ve been working on is promotion. I’ve been emailing bloggers for book review requests for Return of the Titans, and preparing for some upcoming appearances (I’ll get to that in a bit) by getting my promotional and marketing gear ready. I ordered a banner for future con guest appearances, as well as printed up some bookmarks. And that leads me to my next thing: appearances. I’ve got a busy year! 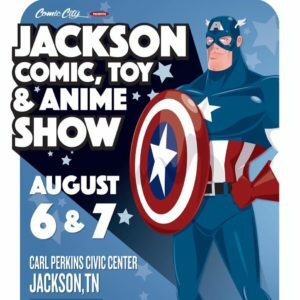 I was a guest for the second time this year at ConGT (and will be a guest again next year), and I will also be a guest at this year’s Jackson Comic, Toy & Anime Show on August 6-7 in Jackson, TN. Here’s the cool poster for that. And yes, that’s the con where I won my first costume contest last year in my BioShock Infinite TARDIS dress. Speaking of cosplay, I’ll also be attending several other conventions this year, including the upcoming Superman Celebration in Metropolis, IL. I’ll be there all weekend, so please be sure to say hello. Other appearances this summer, so far, include: Anime Blues Con, Friendly Neighborhood Con and PopCon of Paducah. I’m sure more will get added to the list as I learn about them. And that doesn’t even include events this fall. Here’s a preview of my Anime Blues Con cosplay. 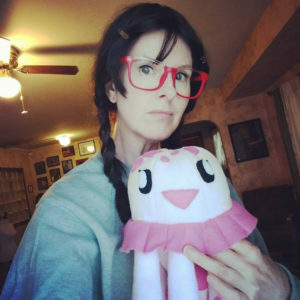 This is my first anime costume ever: Tsukimi from Princess Jellyfish. And yes, I actually did sew a stuffed jellyfish for cosplay. It’s funny because at cons I’m a guest of, it has as much to do with me being a cosplayer and journalist than anything else. I’ve made a name for myself for those things, too, which I find kind of amusing. And finally, speaking of journalism. Here are a few interesting things I wrote up over at Tech Times recently. Enjoy! And have a safe and happy Memorial Day weekend.